Washing your clothes is a standard part of any weekly routine, and chances are you know exactly what to do to make your clothes look like new – and smell even better than before. But if you are using special gloves to exfoliate your skin, or make-up brushes and sponges to apply your make-up, washing them should also become part of your beauty routine. This is not only necessary to get rid of any dirt or make-up residue – oil and even bacteria can build up on these beauty accessories. Take a look at these easy cleaning tips for exfoliating gloves, make-up brushes, sponges and your hairbrush. 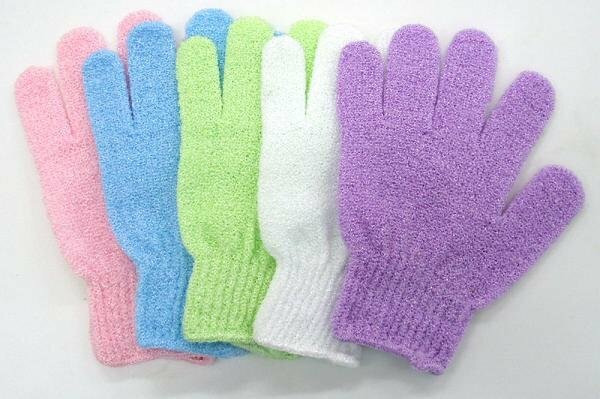 Using exfoliating gloves in the shower keeps your skin fresh, healthy and glowing. But if you don’t want to replace them every other week, it is a good idea to clean them thoroughly. This shouldn’t be a hassle at all, as you can just wash them in your laundry machine. Make sure to choose a delicate cycle, and use a mild detergent to clean the gloves. Alternatively, you can hand wash them with some soap or detergent, running them under the tap to rinse out any soap residue. All you’ll need in order to clean your makeup brushes is shampoo – it really is as easy as that – so no more excuses. Any mild shampoo will work just fine, keeping the brush tips soft; there’s no need for salon-standard products. 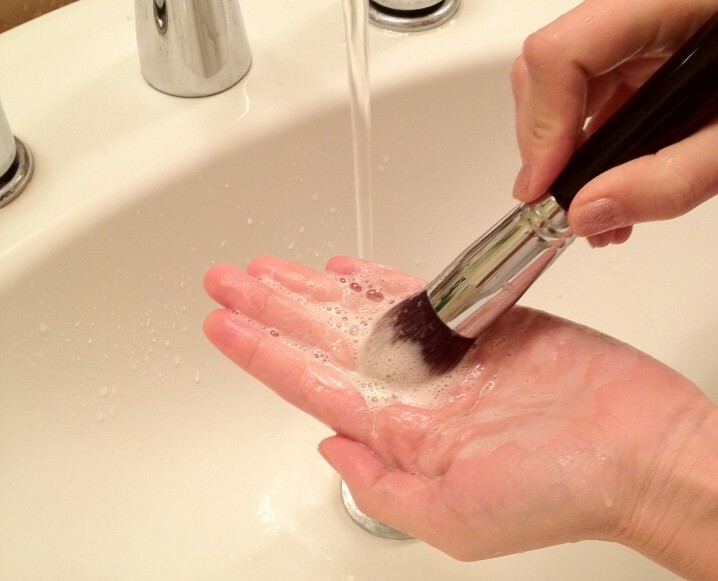 Run your brushes under warm water in order to rinse out makeup residue. Mix a few drops of shampoo with some warm water, and clean the brush tip using your fingers. Run the brush under the water again, and repeat these steps until there is no more make-up running down the drain. Wipe your brushes clean with a towel and let them dry. While it is fine to clean makeup brushes once a week, if you are using makeup sponges to apply and blend your makeup you should make sure they get a cleanse after every use to avoid bacteria growth inside the sponge. You can use hand soap or shampoo to clean these. Just run the sponge under warm water, squeezing out any excess make-up, and then apply a drop of soap or shampoo directly onto it, massaging the sponge under the water until it runs clear. Squeeze the sponge again, and let it air dry. One amazingly handy trick is to apply a drop of olive oil along with the soap or shampoo – it actually helps remove oily products from the sponge. First, use a comb to get rid of any hair sitting in the brush. Next, rinse your hairbrush under warm tap water and then soak it in a solution two or three drops of shampoo mixed with water – but only if your hairbrush isn’t fabric. If it is, carefully dip the bristles in the solution. 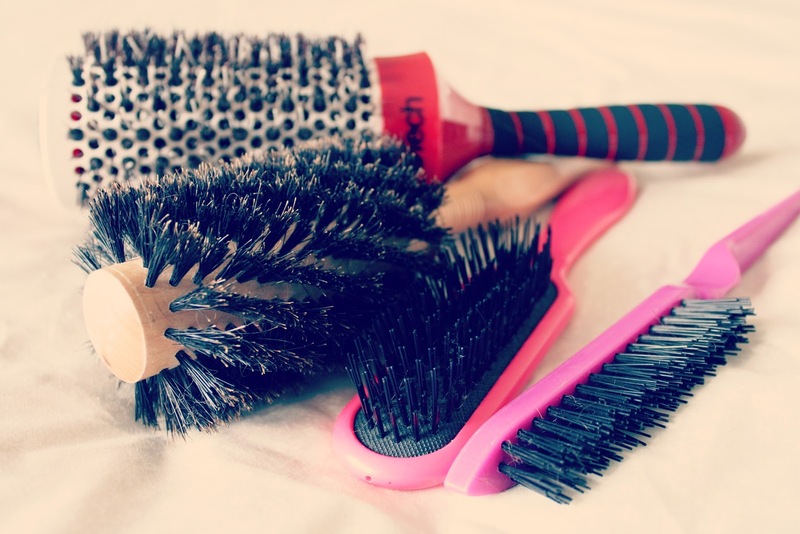 Then you can simply scrub the hairbrush and let it dry overnight. Do this as often as possible, but at the very least once every few weeks to ensure your hair is getting the best treatment possible. There you have it – cleaning beauty accessories can be very quick and easy. Why not go ahead and try these tips yourself?